This article relates to temperature mapping study carried out for warehouses, cold rooms, vans, reefers etc in pharmaceutical industry. As explained in our other pages on mapping study, the procedure is to collect temperature & humidity data for a period of time. We can carry out this data collection either using the normal data loggers or wireless data loggers. Please read more for the comparison of both methods. 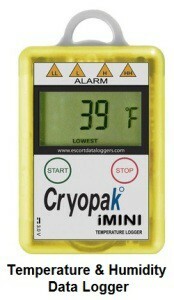 Generally, most of the companies use normal temperature & humidity data loggers with internal memory. They collect the data for the defined period of time such as 14 days for a pharma warehouse. At the end of the 14 days, they download the data and check for the excursions. 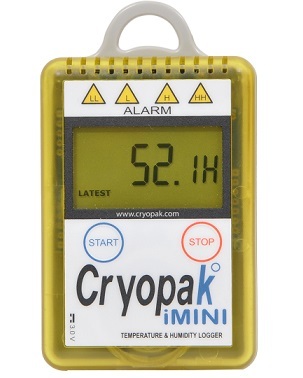 As these temperature & humidity data loggers are cheap, this is the most economical method. However, the disadvantage is that we will come to know of the excursions only after a couple of weeks after completion of the data collection. After data collection, it may take a couple of weeks to analyse the data and inform of any excursions. Valuable time is lost in this process. In the above context, we will explain the methodology of temperature mapping study and qualification using wireless data loggers. The entire procedure of placing the data loggers and collection of data is same in both the cases. However, in this case, we will place wireless data loggers, It is better to use radio frequency or Zigbee based wireless sensors since they do not require a separate power source. We will have numerous wireless sensors (transmitters) and few receivers. We have to place the wireless sensors across the entire area same as we do for normal data loggers. And we have to connect few receivers to receive the data from all these sensors. The main advantage of using a wireless data logger system is that we can analyse the data while the test is being carried out. We can program alerts so that email or SMS alerts will be generated in case the temperature goes beyond the permitted limits. We can view the data through a local server as well as through the internet. The temperature mapping company can monitor the data remotely over the internet and can suggest any corrective actions immediately. Sometimes the corrective actions will be as simple as changing the temperature setting of a thermostat. Thus, the client will be confident of the outcome during the course of the study. 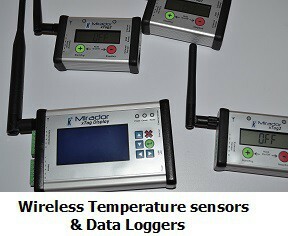 However, this method is costlier than using the normal data loggers, since wireless data loggers are costly. Also, it will require some more time to configure these data loggers before the commencement of the study. Also, VackerAfrica carries out Temperature mapping study and qualification in African countries covering Nigeria, Djibouti, Tanzania, Kenya, Cameroon, Ethiopia, Sudan etc. Vacker Arabia carries out Temperature mapping study across the entire Kingdom of Saudi Arabia covering Jeddah, Dammam, Riyadh, Jubail and Khobar. Dehumidification in the food industry to preserve the quality of food, especially packaged foods. Also, the shelf life of processed food is reduced if moisture gets into the food. In modern plants, the processing machinery is capable of creating a vacuum during the process, preventing entry fo moisture. However, it is safer to reduce the moisture of the environment for any such applications. Few of the applications of food dehumidifiers are as below. During the process of confectionary and bakery items such as sweets, it is necessary to keep a low humidity level. During packing the items, if moisture enters into the packing, the life of the item is drastically reduced. Processing and packaging of dates also require low humidity environment to keep the quality and to have a longer life. In the processing plants of meat and poultry, condensation of air happens if the moisture content is high. This will affect the machinery as well as the quality of the process. Hence the standards including HACCP standards recommend low humidity levels. We recommend condensation dehumidifiers for meat processing and poultry processing industries. Reducing the humidity can lower the frost and ice formation on the stored goods. During the manufacture of chocolate also, the moisture should be very low up to the wrapping process. As you can imagine, if the chocolate absorbs moisture before individual wrapping, the chocolate will be spoilt in a couple of days. So chocolate factories definitely require dehumidifiers. Which types of dehumidifiers to use in the food industry? 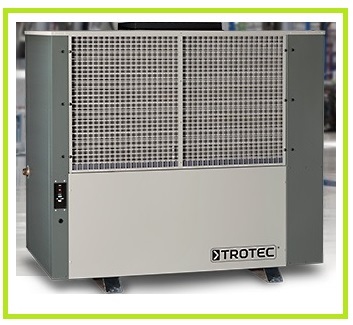 The major types of dehumidifiers are just processing the internal air and recirculating. In such cases, there will not be any fresh air intake from outside. There are types which take fresh air from outside and process before passing into the food processing area. If you are using such a machine, you will need additional filters before the air intake to ensure the quality of the air which comes into the processing area. By way of operation, there are two types of dehumidifiers viz. 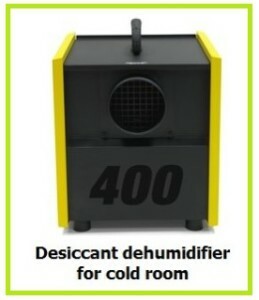 condensation dehumidifiers and desiccant dehumidifiers. Generally for a low-temperature application we use desiccant dehumidifiers (Typically below 10°C). For all applications above 10°C, we can consider condensation dehumidifiers. However, this is only a general guideline and please contact us for a free evaluation. 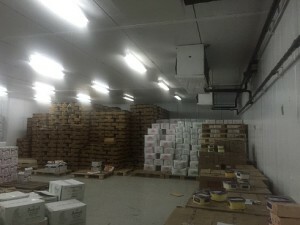 The food industry involves cold rooms, walk-in freezers, ultra low freezers etc. In all such cases, frost and ice formation happen on the stored goods. This is due to the solidification of the moisture particles. This causes inconvenience to the operators, increase the energy cost etc. A dehumidifier can drastically reduce this problem by reducing the moisture content in the air. As you may know, the cooling units in the cold room and walk-in freezers go into defrost cycles, a couple of times a day. This is to defrost the ice, failing which the machine may fail causing internal damage. By reducing the moisture in the air, it is possible to reduce the defrost cycle, thus saving energy cost as well. Vacker Arabia supplies all kinds of dehumidifiers in all cities of Saudia Arabia covering Jeddah, Dammam, Jubail, Riyadh, and Khobar. Why cold rooms and walk in freezers have a high humidity? You might have experienced many times that your cold room or walk in freezers have a very high humidity. This is especially applicable for medicine cold rooms of 2-8°C, a cold room used for fruits or vegetables etc. below 10°C etc. The problem is severe for a cold storage operating between 0°C to 15°C. Why my medicine cold room has a very high humidity? Humidity is basically moisture particles in the air. If you have a high concentration of moisture particles in the air, this means that the room is having a high humidity. Humidity is measured as a percentage of moisture particles in the air. The cold room is always at a much lower temperature compared to its immediate. The air in any environment has a certain amount of moisture at all times. Even if you are in a dry country, you will have a humidity level of 30-40% RH. 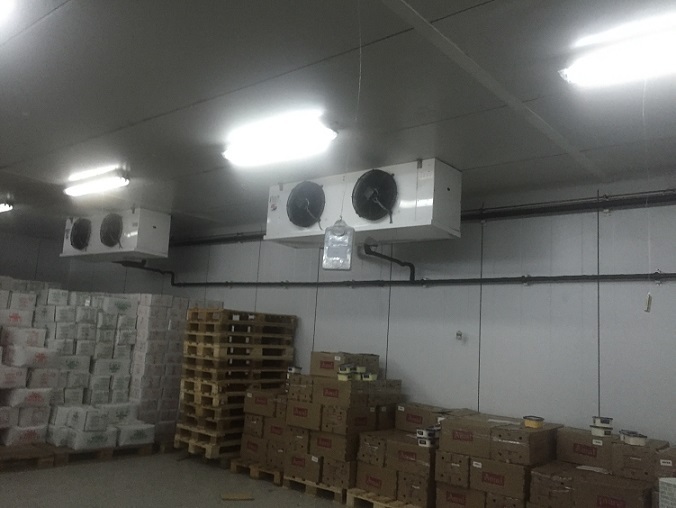 Let us assume that you have a cold room of 2-8°C, which opens to a warehouse having a humidity level of 50%RH. 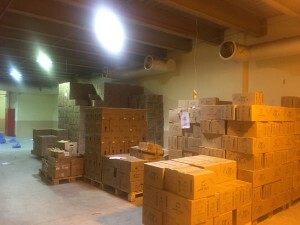 The warehouse may be at a temperature of 25 to 30°C. There will be a certain level of moisture in the warehouse. When you open the doors of a cold room, it attracts fresh air from the warehouse. Since the cold room has a lower temperature, the moisture in the air condenses inside the cold room, thus increasing the humidity. Every time you open the cold room, it attracts more moisture particles into the cold room. This process is called condensation. If you have a cold room humidity monitoring system inside your cold room, you can see that as soon as you open the door, humidity increases within seconds. Thus the humidity keeps on increasing and will reach even 95-100% RH. What is the recommended humidity for medicine cold rooms? Fro storage of medicines, the recommended humidity level is below 65%. However, this also depends on the type of medicines that you are storing. If you are unsure, please check with the manufacturer of the medicine. 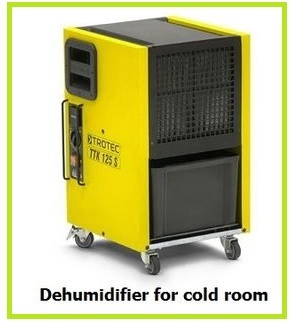 We have undertaken dehumidification projects of cold rooms, which required a humidity level of 45%. How to reduce the humidity of cold rooms? One way to reduce the humidity of a cold room is to limit air flow into the cold room from the outside. However, as you can imagine this is very difficult. You can install air curtain in front of the doors of the cold room but is not very effective. The next way is to remove humidity from the room by using a dehumidifier. This is the only way to effectively reduce the humidity of a cold room. Dehumidifiers are electrical devices which process the air and convert the moisture particles into water and remove from the room. Below 10°c, you have to use a desiccant type dehumidifier. 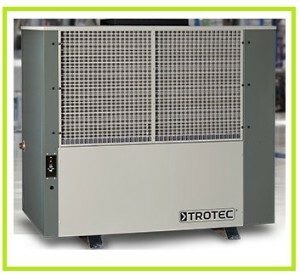 How to select the size of the correct dehumidifier for my cold room? You need to calculate based on your room size, present temperature and present humidity. We will assist you to decide the exact capacity of the dehumidifier. If you wish, you can use our free dehumidifier calculation tool. Please read more on cold room dehumidifiers. Vacker Arabia supplies different models of dehumidifiers in all cities of Saudi Arabia covering Jeddah, Dammam, Riyadh, Jubail and Khobar. Vacker Arabia is one of the topmost companies providing services in cold chain management in the Middle East and African countries. Temperature mapping and validation is one of the many services we provide in different countries. Our services are spread worldwide covering countries such as UAE, Saudi Arabia, Qatar, Nigeria, Kenya, South Africa, Zimbabwe etc. Our team of experts follows the temperature mapping and validation process as prescribed by the health authority of the country. 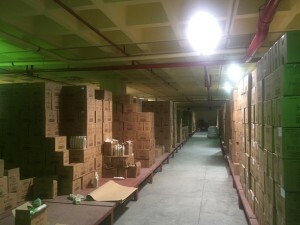 We provide our service for storage room, containers during transportation of goods, cold rooms, etc. What is Temperature Mapping and Validation as per requirements of SFDA? Temperature mapping and validation is done for the storage and transfer of goods which are sensitive towards the temperature. SFDA specifies Temperature mapping study for all pharmaceutical warehouses, cold rooms, vans etc. To be clear about the concept of temperature mapping and validation let’s take an example of a warehouse. 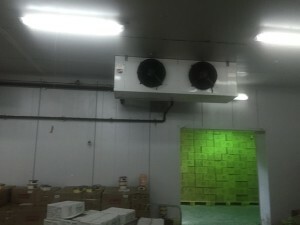 A warehouse may contain many air conditioning ducts. The device is programmed in such a way that the device maintains the overall temperature of the location within a given range. 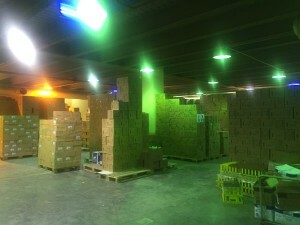 The general range of the warehouse is 15-20 degree Celsius. When we use a temperature data logger they will show the reading within the limit. But this is not the whole truth as the temperature may differ in various points of the warehouse due to different reasons such as movement of people, opening, and closing of the door, running of various machines etc. It becomes impossible for people to check the temperature condition of every point in the room with few temperature data loggers. The SFDA is specifying temperature mapping because they require the pharma companies to operate in line with international standards. This is a great move by SFDA which will increase the confidence of the pharma manufacturers and the consumers. What we have to understand is that the temperature of a location may not be uniform under different circumstances. Hence, temperature mapping and validation study is the best way to analyze the distribution of temperature in different points within a location under all real life conditions. Other than a warehouse. temperature mapping and validation is required for other assets such as refrigerated vehicles, chillers, cold rooms, thermal boxes etc. Temperature mapping study and validation helps to ensure the uniformity of temperature across various points within a location. 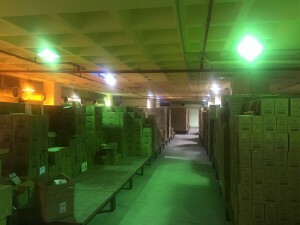 Temperature mapping study helps to establish various parameters within an enclosed location to determine the suitability of the space to store temperature sensitive goods. Temperature mapping study and validation helps to monitor the point where goods are stored most of the time. It also helps to find out whether the temperature distribution in the location is uniform or not. Temperature mapping study helps to identify different hotspots and cold spots within the location. Hotspots are those spots in the location where the temperature seems to be exceeding the permitted temperature under different condition. Identification of such spots helps the user to prevent storage of goods in the spots in future or the user can rectify the problem by various means. Temperature mapping study and validation also helps to find out the time period for which the temperature remains within the required temperature range in the case of the failure of the air conditioning system of the location. Temperature mapping study helps to know the number of people, machinery etc. that can be permitted while keeping the temperature within the required temperature range. Temperature mapping study and validation program helps to establish such parameters for all the climatic condition in the location across the year. Due to various reasons temperature mapping study and validation is a very important procedure especially for the temperature sensitive goods. According to the recent studies every year products worth millions of dollar are wasted due to improper storage and transportation. So if you are working in storage or transportation of temperature sensitive goods than you can contact us for temperature mapping study and validation. We are known for our quick services hence making us the first choice of companies and people. We are offering our wide range of products and services in north and central African region. We already have our valuable customers in Nigeria, Tanzania, Djibouti, Kenya, Ethiopia, South Africa, Zimbabwe, Cameroon, Sudan etc. We are providing our temperature monitoring system, automation systems, temperature mapping study etc. in these countries. Vacker Arabia carries out temperature mapping and validation across the entire Kingdom of Saudi Arabia covering Jeddah, Dammam, Riyadh, Jubail and Khobar. VackerGlobal is a global company that has been supplying different kinds of devices for monitoring various environmental parameters such as humidity, temperature, air quality, etc. of a place. VackerGlobal supplies special two-in-one devices that can monitor both the temperature as well as humidity commonly known as “Thermo Hygrometer”. 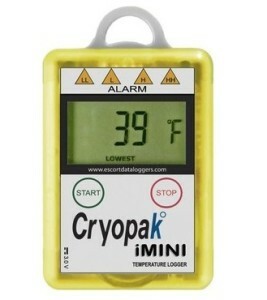 Our thermo-hygrometer comes with min/max reading and an alert system. This thermo-hygrometer is also known as Climate Meter as they are capable of measuring two important factors of climate, namely, temperature and humidity. 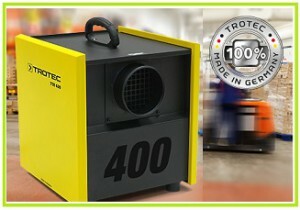 Vacker Arabia collaborates with Trotec, Germany to bring the best kinds of thermo-hygrometers to the customers. 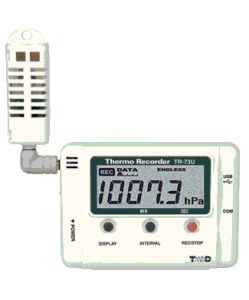 Generally, two types of thermo-hygrometers are supplied in various models by VackerGlobal. The main types of are indoor thermo hygrometer and outdoor thermo hygrometer. Indoor hygrometers are designed especially for the measurement of humidity and temperature of an enclosed location or living space. An outdoor thermo-hygrometers is designed to measure the temperature and humidity of an open spot. Vacker Global supplies both types of hand held models of thermo hygrometer as well as wall-mounting or desktop model of hygrometers. Model BZ05 is the indoor thermo hygrometer supplied by our company with great accuracy and a reasonable price. It has the capability to display the current humidity and temperature with date and time. It also keeps the record of maximum and minimum temperature measured. It comes with an effective alarm system. It contains a large LCD display for crystal clear vision of reading. It is powered by an internal battery. It can indicate different levels of environmental conditions by showing optimal, acceptable or critical for people. It has the capability to measure temperature from 0 degree Celsius to 50 degree Celsius. It can accurately measure the temperature difference of 1 degree Celsius. It can measure humidity level from 10% RH to 90% RH. It is very small in size and easy to carry from one place to another. It has the ability to display the current temperature and humidity. It can show the maximum and minimum recorded value of temperature as well as the humidity level. It comes with an automatic power off system and illumination system. It has a high range of temperature measurement capability. It can measure temperature ranging from -20 degree Celsius to 60 degree Celsius. It can detect and display temperature difference of 1 degree Celsius accurately and precisely. It is extremely easy to carry because of its small size and light weight. It only weighs around 140 gram and the size is only 146mm × 56 × 34mm. These hygrometers are specially designed to measure the climatic condition of the outdoor environment. It comes with an internally built battery system. This model is more sophisticated than its other counterparts and hence, is used for a professional purpose. It gives more accuracy in reading to the users. It is used for commercial purposes by different industries as well as researchers in the laboratory. It comes with a stylish outlook and easy to handle features. It has got many features that have made many professionals to choose this device over other models. It contains control panel with a capacitive touchscreen. It uses infrared technology for the measurement of temperature. It is capable of measuring precise surface temperature due to its pyrometer function. It can detect and measure temperature difference as low as 0.4 degree Celsius. It can measure humidity from 0% RH to 100% RH. It only weighs about 295gm. Vacker Arabia supplies thermo hygrometers in all cities of Saudi Arabia covering Jeddah, Dammam, Riyadh, Jubail and Khobar. 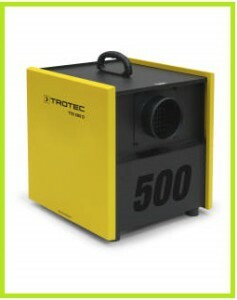 One of the most invaluable devices required to maintain the proper quality of the air in a location is the humidifier. Humidifier increases the quality of air by increasing the humidity of a dry air to a certain desired level. Our company Vacker Global supplies different types of humidifiers both cool mist and warm mist humidifiers in different parts of the world. We have been supplying our products especially in the African and Middle East region. Cool mist humidifiers release steam of room temperature in the dry air while warm mist humidifier release steam with warm temperature. Cool mist humidifier consumes relatively less amount of electric energy compared to warm mist humidifier. Cool mist humidifiers are relatively noisier than the warm mist humidifier. Heating process of water is not the part of cool mist humidifier operation process but warm mist humidifier boils water during its functioning. Warm mist humidifiers are relatively better to use during the winter season when the temperature of the environment is low. Cool mist humidifiers are better to use in summer when the temperature of the environment is high. Warm mist humidifiers are relatively healthier to use than the cool mist humidifier as water is boiled during the humidification process in this type of devices. Cool mist humidifiers are considered to be safer than the warm mist humidifier specially for the homes having children or pets. It possesses a function for automatic humidity control. It comes with a reasonable price with many added features. It is very light in weight and can be carried from one place to another easily. It is absolutely perfect for humidification of homes, offices or any other small room. It is a small type of humidifier designed for cars, homes and offices. It also comes with automatic humidity control system. It comes with stylish and cute design which can work as a decorative item in your home, office or car. It comes with a very low price hence is considered one of the best deal in the market. It is a very small sized humidifier that has a relatively high capacity for humidification. It can be used for homes, offices as well as industries. Vacker Arabia supplies cool mist dehumidifiers in all cities of Saudi Arabia covering Jeddah, Dammam, Riyadh, Jubail and Khobar. Wall mounted data loggers are for recording Temperature and Humidity (RH). Normally we can mount on walls in hospitals, clinics, industries etc. There are two different types by way of its data transmission. The first type is for recording the data in itself. The user has to download the data periodically. The second model is with data transmission through the internet or local network. In this case, data transmission is automatic. We explain one example of each of the above types. Different models for various parameters such as Temperature, Relative Humidity (RH) and pressure are available.Wall-mounted USB type data logger. This model is entirely standalone, battery operated type. We can simply program the device and mount on the wall. It displays the current readings on the display screen. Also, data recording takes places in its memory. Based on the memory capacity, the data recording can continue for a couple of months. There is a USB port on the back side of the device. The user can download the data periodically eg. once in a month. It has a memory capacity of 16000 readings. Battery lasts from 6 months to 1 year based on ambient conditions. It generates pdf, excel and Text reports automatically. There is no monthly or annual charges. The software is free for download from our website. There is no limitation on the number of users for the software. If you require, we can supply custom models with higher memory capacity. There are different models with an external sensor if required. These models of wall-mounted data loggers transmit the data through WiFi network. The user need not download the data periodically. Also, there are models which can generate alerts if the readings exceed the desired values. It can operate either on battery or an AC supply through an adaptor. In the first case, the user will have to replace the battery periodically. However, in the second case, the user need not worry about the power supply. We supply one such model is TR72wf WiFi type wall-mounted Temperature and Humidity data logger. Major features are as below. It has a battery back-up which will continue to work in case of power failure. It can store the data in itself and also transmit the data through WiFi. There is no monthly or yearly subscription charges. The software is free for download. There is no limit on the number of users. These models are capable fo recording Relative Humidity (RH), Temperature and Pressure in a single data logger. These also are wall mounting type data loggers. One such model is TR7Ui data logger. Major features are as below. Relative Humidity, Temperature and Barometric pressure in a single device. The battery can last up to 10 months based on usage conditions. The connection is through USB cable. It is possible to measure Barometric Pressure from 750 to 1100 hPa. It has an inbuilt memory capacity of 8000 readings. Vacker Arabia supplies all kinds of data loggers in all cities of Saudi Arabia covering Jeddah, Dammam, Riyadh, Jubail and Khobar. Vacker Arabia carries out temperature mapping and validation for FMCG industry in Jeddah, Dammam, Riyadh, Jubail and Khobar in Kingdom of Saudi Arabia. Food dryers are one of the most important equipment in the food processing industry. Vacker Global has been supplying different types of Industrial Food Dryer in different parts of the world for many years. Our satisfied clients are the proof of the quality of our products. The Industrial Food Dryer supplied by Vacker Global are very easy to maintain and energy-efficient. Drying the food to preserve it for a longer period of time is an ancient technique. Foods such as meat, vegetables and even fruits can be dried out to preserve them for a longer period of time. Food dryer is a device that helps to remove the moisture in food effectively and in a short period of time. Food dryer removes the moisture from the food with the help of a heat source and air flow. Drying the food avoids the development of bacteria in the food and spoiling it. This also helps in reducing the weight of the food item drastically. Our industrial food dryer has been found to be very compact and powerful. It is one of the most efficient dryer in the market. It is made of stainless steel and also possesses thermostatic temperature controls. It is designed to dry a wide range of food products such as meats, fruits, vegetables, etc. With our food driers you get the trust and warranty of our company. Contact Us right now if you are searching for food dryers for your industries. This pasta dryer is specially designed to dry macaroni and pasta. These dryers can dry a large amount of pasta and macaroni at a time. With the capability of drying the pasta and macaroni continuously with rapid pace these dryers are sure to win your heart. These dryers are absolutely easy to handle and are very energy efficient. With reasonable price our pasta dryer is the best deal you can get in the market. Our team of experts have designed this dryer keeping the noodle industry in mind. Due to its flawless quality and highly sophisticated technology these driers are set to take the noodle industry by storm. Increase the concentration of your feed which is in liquid state with the help of our innovative spray dryer. It does not matter if the feed is emulsion or solution to slurry our spray dryer will work perfectly for all thease. Our spray dryers are fully automated which consists of a CIP system. We provide these dryers in various sizes as per the requirement of the customer. With 100% satisfaction record of our customer with our product the faith in our product has only grown bigger with the time. Vacker Arabia supplies all kinds of industrial dryers in all cities of Saudi Arabia covering Jeddah, Dammam, Riyadh, Jubail and Khobar. Frozen or refrigerated food items have been a big part of modern human life. Frozen foods are consumed on a much larger scale when compared to rural areas. Foods are refrigerated or frozen to keep them edible for a longer period of time. One of the important factors in the frozen food industry is proper packaging. Vacker Global is a highly experienced company that provides every kind of packaging solution for refrigerated items especially, food. Our experts are very well known to design packets which are highly attractive to the clients. Our packaging solutions are capable of enduring different harsh conditions during transportation of refrigerated items. Our professionals have developed packaging solutions for different items such as meats, cheese, vegetables and many other dairy products. We understand different requirements for different items and design packaging with the required packaging capabilities. With the packaging solutions provided by Vacker Global, you are assured longtime freshness of frozen products during transit as well as in their destination details. There are different types of packaging solutions offered by Vacker Global. We are one of the leading packaging suppliers in the world and provide wide capabilities in bags, pouches, roll stock and film. We provide surface printed films, laminated films and coextruded films. We also provide stand-up pouches, shaped pouches, spouted pouches, etc. for our clients. We have to understand that packaging is the most important part to protect the quality of food. According to different researches done around the world, food items worth millions of dollar are wasted due to the improper packaging of the frozen food during transportation of food as well as during their storage. Our packaging solutions ensure there is no more wastage of food due to improper packaging. The packaging solutions are designed in such a way that they gain optimal efficiency with very low waste. 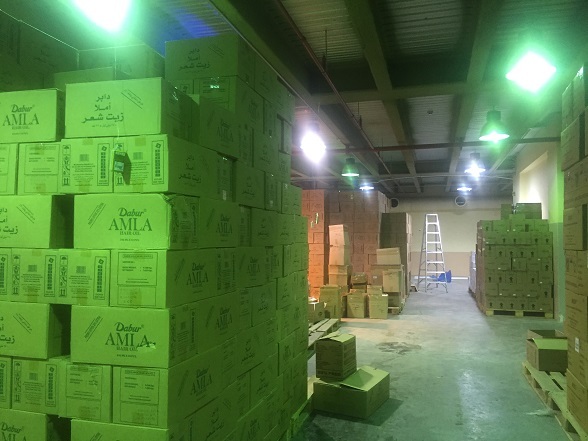 Vacker Arabia is a major supplier of all items related to packaging solution across the entire Kingdom of Saudi Arabia covering Jeddah, Dammam, Riyadh, Jubail and Khobar.